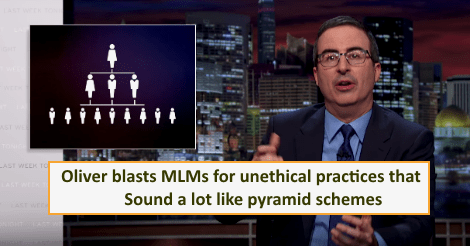 The Last Week Tonight with John Oliver on the HBO channel aired an episode on November 06,2016 demonstrating how direct selling or MLM companies use unethical practices to make money. John Oliver mocking the MLM industry said that they generally have two things in common- “first, you don’t see them on store shelves, you buy them from distributors like friends , family , co-workers and secondly they are always looking for more distributors to join them. And they have pretty attractive message” of how it helps you become your own boss, pay your own bills and flexi working hours. Oliver said that though the MLM companies may present their business as a great opportunity to make a lot of money, however, the chances of success are very remote. He called it a pyramid scheme where only a few people at the top make a huge amount of money. The main focus of the episode revolved around the point that people who join the MLMs make money from recruiting more distributors rather than from the actual sale of products to the customers outside their distributors. He however also acknowledged the fact that the industry has done around $36.12 Billion business collectively in the US in the year 2015. The episode focused on a dozen of MLM companies like Vemma, Youngevity, Kyani and mostly Herbalife. Almost half the episode talked about Herbalife and the claims made by its distributors for which the company had got into trouble recently with the FTC. 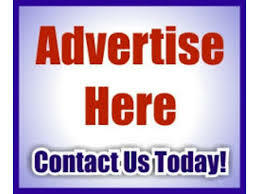 Herbalife competes with Amway in the vitamin and supplement line of products. Earlier this year, Federal Trade Commission had ordered Herbalife to pay $200 million to compensate distributors who lost money. The FTC also required them to some make major changes in its sales and distribution practices. Amway expressed its disappointment at the misrepresentation of the direct selling industry which has given an opportunity to many people across the world. In 1979 Amway was the first Direct Selling / MLM company to be investigated. The federal agency ruled out the allegation of illegal pyramid scheme but said that it was certainly guilty of price fixing and overstating earn potential. However, it was also interesting to see that Oliver did not mention Amway and the examples given were mostly that from Herbalife. Amway a giant of the Direct Selling or MLM industry, headquartered at Ada, collects more than a quarter of the industry’s $36 billion in annual revenue. It was indeed very interesting to note that not one example of misrepresentation by Amway was mentioned in the episode. One might wonder if the episode was indeed an attempt to show the real picture of the MLM industry or to showcase the unethical conducts and misrepresentation by one MLM company. The MLM episode on the YouTube video has been watched more than 5 million times so far.